The Tunisian government has just announced it plans to invest US $1 billion towards renewable energy projects including the installation of 1,000 megawatts (MW) of renewable energy this year . 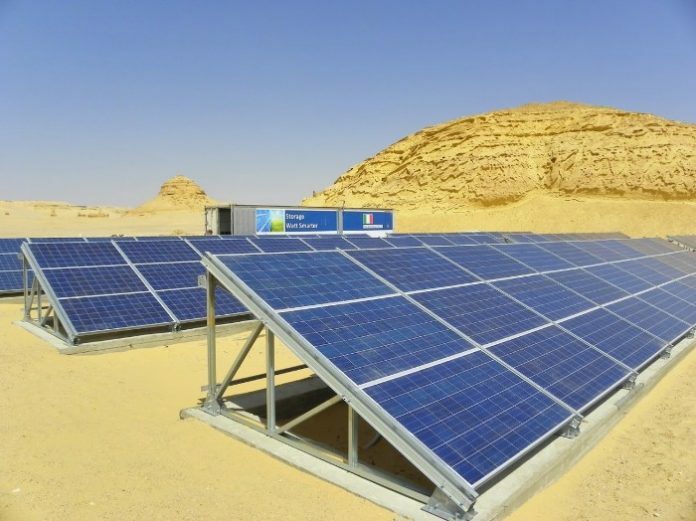 According to the Energy General Direction of the Tunisian Ministry of Energy and Mines, 650 MW of the sum 1,000 MW will come from solar photovoltaic (PV) power, while the residual 350 will be supplied by wind energy. At the same instance, the private sector plans to invest an additional US $600 million into the development of renewable energy capacity in 2017, the Ministry added. In 2016, Tunisia’s electricity output from renewable energy got to 579 gigawatt hours with a overall capacity of 342 megawatts. Experts say the Tunisian government will be obligated to rely more on renewable energy to decrease the electricity production expenditure that directly affects the nation’s fiscal balance. Under new plans, Tunisia has dedicated itself to generating 30 per cent of its electrical energy from renewable energy sources in 2030. Last year, a total of 579 gigawatt hours (GWh) of renewable electricity was produced in the nation, with a combined capacity of 342 MW. The initial phase of the 1,000 MW of installations has already started. In the second stage of its energy approach, the country is fully determined to install 1,250 MW between the year 2021 and 2030. The news comes after the findings from a current report stating the whole Middle East and North Africa (MENA) have more than 5.7 gigawatts (GW) of solar energy capacity in the pipeline. The Middle East Solar Industry Association (MESIA) report “Solar Outlook Report 2017” found that eight nations in the region have more than 4,050 MW of solar photovoltaic (PV) electrical energy capacity under development this year, bringing the full amount of solar power capacity in the pipeline to more than 5.7 GW.